This article was published in partnership with Mashable. This year’s gay pride celebration in Istanbul was going to be a momentous one for 19-year-old Batu Kaya. This would be the first time his parents, Arzu and Fahrettin, marched with him — an often elusive sign of acceptance in Turkey’s conservative society. But soon after the family arrived in downtown Istanbul, police began firing water cannons, tear gas and rubber bullets to break up the march — the first time officials had sought to dismantle pride celebrations in Istanbul since they started taking place there in 2003. It’s “the only day we’ve been able to own our sexuality in this country,” said Kaya, as he waited with his parents on a side street for the tear gas to subside. But after hours of waiting, he and his parents decided to go home. There were reports that police turned on the protesters when participants began chanting against Turkey’s conservative President Recep Tayyip Erdogan. Organizers of the march released a statement, saying the Istanbul governor didn’t allow the march because it coincided with the Muslim holy month of Ramadan. 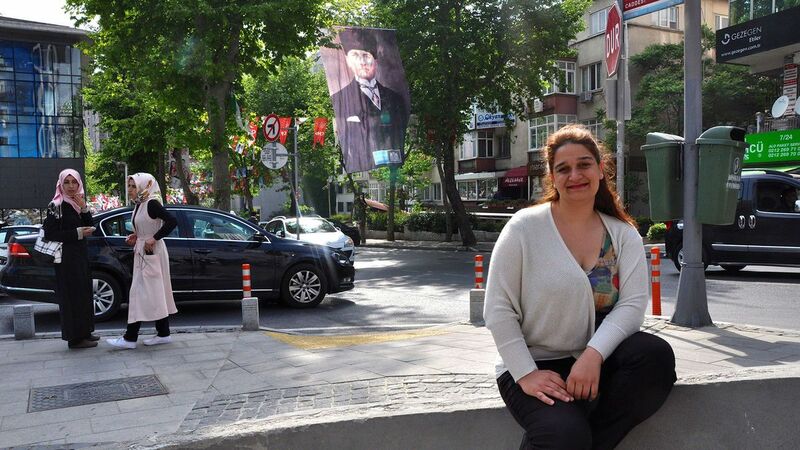 Last year, the 33-year-old Cakmak was elected as a city-council member of a large municipality in Istanbul, making her the first elected openly LGBT politician. Cakmak says there have been gains for the community, but that the country is still torn between conservatism and modernity. “I can see the struggle even in my relatively open-minded parents, in almost every person in society,” she says. While she’s “out” to most of her friends and employees, she still doesn’t feel comfortable bringing her girlfriend of three years to work events. Her neighbors think they’re just best friends. And because the community is still fighting for basic anti-discrimination legislation to ensure protections, Cakmak says that other things — like having a child, an experience she desperately wants to share with her girlfriend — aren’t on the horizon. The dismantling of the parade comes on the heels of Turkey’s historic parliamentary election earlier this month in which the Islamic-rooted Justice and Development (AK) party, led by Erdogan, failed to secure enough votes for a single-party rule for the first time in 13 years. Emir Coban, 24, said some of his friends were injured by police on Sunday. When Coban came out to his parents during high school, they took him to a hospital in Istanbul. Doctors said he was simply suffering from depression and that he was gay because of “childhood issues.” He was subjected to weekly therapy, anti-depressants and testosterone pills. While Coban tried to resist the treatment, he routinely faced emotional and sometimes physical violence from his father, who would often forbid him from leaving the house. To this day, Coban’s family doesn’t fully accept him. In fact, he hasn’t talked to them in six years. Still, he’s determined to forge a path ahead for himself and others. “They say that it is Ramadan and also that Ramadan is the month of tolerance. But in practice they showed their homophobia. Damn your morality, damn your Ramadan!” said 22-year-old Husrev Orgun. Orgun grew up in the central Anatolian region of Turkey listening to Zeki Muren, who became one of the country’s first gay icons. His aesthetic — heavy makeup, loud jewelry, and extravagant costumes –- often evoked comparisons to Liberace. “I used to listen to his music and think that only me and Zeki Muren were gay,” said Orgun. 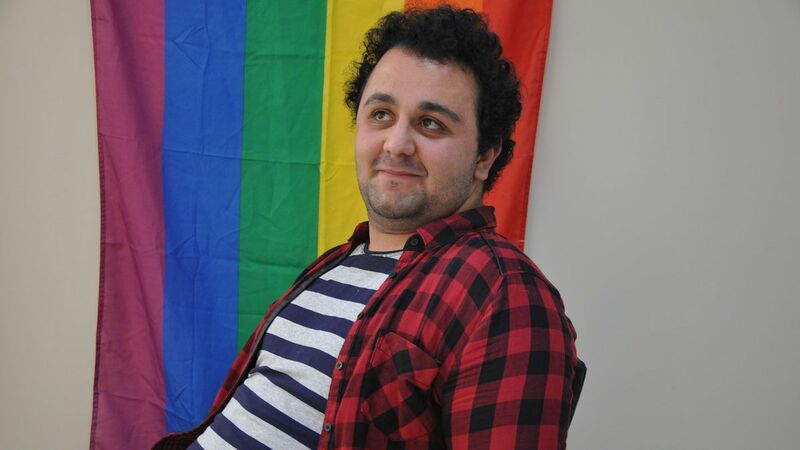 For Orgun, like many, the hardest part of ‘coming out’ was facing his family. “The litmus test for how well a society accepts their LGBT community is how well people will accept their son and daughter as being gay,” he said. 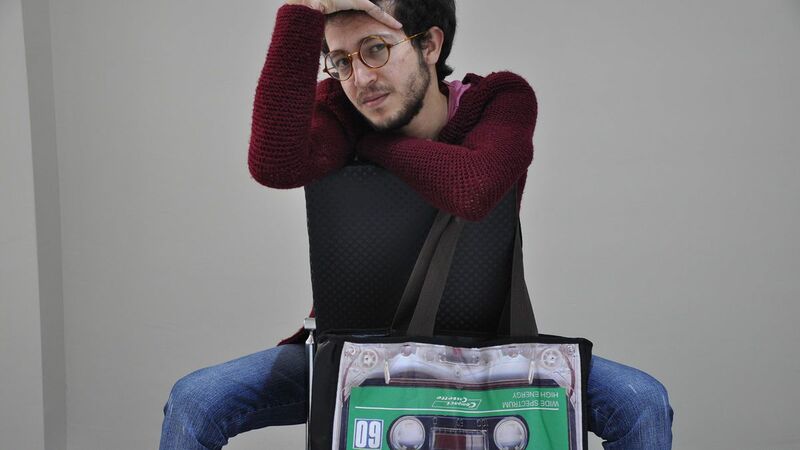 Orgun came out to his mother when he was 15-years-old. She slapped him. And they didn’t talk for months. She took him to a hospital for psychological counseling but gradually came to understand this wasn’t a disease to be cured. She still doesn’t quite accept him, he says. Unlike many other Muslim-majority countries, homosexuality is legal in Turkey. In Istanbul, there are several NGOs working for LGBT rights. In 2003, the pride march in Istanbul drew only 30 people. Last year, tens of thousands marched proudly through the streets. The lack of legislative protection reflects a conservative society: A 2012 survey showed that a majority of the population supports the criminalization of homosexuality, with just 11 percent opposing. In the 2011 World Values Survey, 84 percent of Turks polled said that they did not want to live with LGBT neighbors.